Well, there have been some recent changes to personal in the last few weeks, days ,hours minutes. For those locked down to the official site and forum will have seen the updates! So over the last few weeks we first released Dean McDonald, shortly followed by our skipper and then Rivs, shortly followed by Sam Rents! So where do they all end up? Margate, seems that’s where the party is at! Still more to this than meets the eye me reckons. With Terry Brown taking the helm at Margate, he is clearly looking to re-build his old AFC Wimbledon squad, with old faces returning. Either that or the brown envelopes are bulging at the seams. 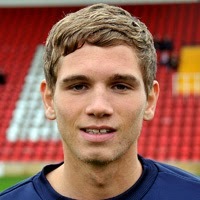 In other movements, Jamie Taylor's loan spell at Eastbourne is up. So will we see him return to the Lane, or will Dos sell him at the right price? I’m guessing on whether his personal problems are dealt with, or whether he likes the Gold Coast of Eastbourne. Also returning to us, is Gavin McCullum, his loan spell at Tonbridge has also expired, so that gives us a further option up top. But it seems we are still lacking an out and out goal scorer that puts the ball in the back of the net, week in week out! With the deck now shuffled, and our new hand of signings shown, lets have a look at the newbies in closer detail. He made his Crystal Palace debut on 2 January 2010 in the third round of the FA Cup, coming on as a substitute for Darren Ambrose in the 93rd minute of a 2-1 win away to Sheffield Wednesday.Wynter went on loan to Eastbourne Borough in March 2013, making 11 league appearances. 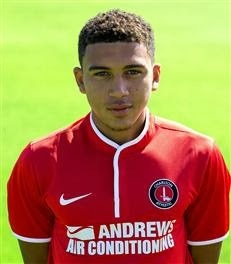 Joins us from Charlton Athletic's Development Squad. Harry currently don’s the number 33 shirt for Charlton. Harry’s natural playing position is within the back four, and standing tall at over 6ft in height, he will join Charlie Cloughs gang. A promising prospect, he should fall straight into place. Now yes, I know he has been with us before on ‘work experience’, and then he returned to Gillingham, but since he has returned, and has featured in a couple of games, so thought it best to give Kayne a little coverage. We wouldn’t want the fella feeling left out now, would we! Haysman began his career with Gillingham and made his professional debut on 27 April 2013 in a 3–2 defeat against Burton Albion in Football League Two, replacing Nathan Nyafli as a substitute. Twice during the 2013/14 season he was loaned to Sutton United of the Conference South, scoring three times in five matches during his first spell before being recalled to his parent club as a result of Martin Allen's departure. 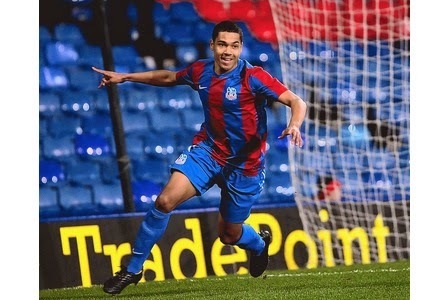 In November 2013, Haysman was sent on loan to Sutton United again. 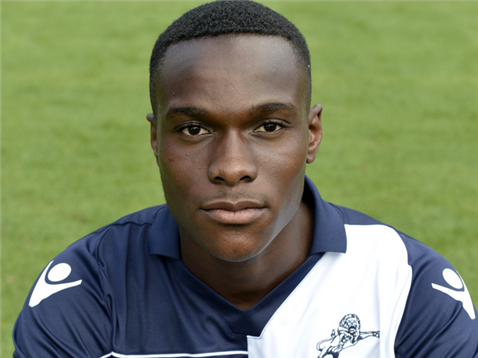 Now then Dammy’s full name is in fact Adedamola Shitta, a young lad of 18 years young, is currently signed on Millwall’s books. However Dammy hasn’t seen much action for the London Club, instead it seems Dammy has been out on loan for most of his senior career, with appearances at Newport County, Macclesfield Town, Wrexham, Kidderminster, and most recent Ebbsfleet. Dammy’s position on the park, is defensive midfielder, and at 18 years of age, brings a bit of youth back into the squad . Sawyer started his career with Chelsea at the age of nine. In July 2007, he signed a professional contract with Chelsea. In his last season as a schoolboy, Sawyer overcame both a stress fracture in his back and cruciate ligament before being promoted to the youth and reserve teams. In the 2006–07 season, Sawyer sat on the Chelsea bench for the last league game of the season, although he did not play.Sawyer was intended to go on the pre-season tour of the United States, but was ruled out of the tour through injury. He then dislocated his shoulder in December 2007, ruling him out of the start of the club's Youth Cup run. Sawyer played seven games for the reserves in the 2007–08 season, plus 14 appearances in the youth teams. A red card in the semi-final of the Youth Cup ruled him out of both legs of the final Now it would appear that Sawyer has got his name around the South of England, having appeared for the following club, Southend, Barnet, Woking and Dover. 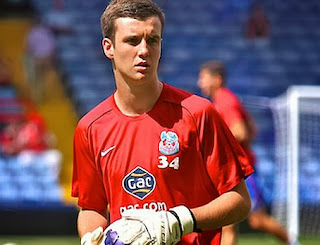 So it seems we’ve picked up a keeper on loan from our local friendly club, Crystal Palace on a one month loan. The 19-year-old England youth international has enjoyed a successful year with the Premier League outfit, culminating in a move from the Eagles U18s into the development squad. Gregory had a previous loan spell at Ryman League Premier side Harrow Borough last season, where he played a pivotal role in the club's battle to avoid relegation, playing four games and keeping three clean sheets. So there we have it. A short but sweet update, on the current movements happening down the Lane. So all we need do now, is prey that the weather holds out, and tomorrow's home fixture Vs Gosport is good to go. It's now in the hands of the Gods!